Vince and Jane P - Black Tie Real Estate & Investments, Inc.
Jane and I have bought two homes with Mark’s help. The first was a preowned home and the second was one where we selected a lot and built our “dream home.” Mark took us on a whirlwind tour of 30+ homes in two days while searching for our first home in The Villages. At each stop, he listened to our comments and asked questions about things we liked and didn’t like. After looking at all the homes on our list, Mark recommended that we look at one more that hadn’t been on our initial list. It had just come on the market and he thought it met all of our “requirements” as well as some of our “like to haves.” Mark was right. We loved the house and signed a contract that day. 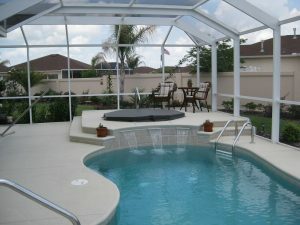 Several months after moving to The Villages, we saw an open house for a new home with a pool and decided to take a look. Although we had not initially wanted our own pool, after seeing this house, we changed our minds. Of course, we called Mark for assistance. He worked with us to find a lot that would provide privacy for us (our number one request) and allow us to build the home with the pool. Mark met with us at the model homes on several occasions, again taking note of our likes and dislikes and assisting us in making our selections. He helped us sell our first home and worked with us throughout the building process on the new one. We love our new home! We greatly appreciate all of Mark’s assistance, especially his listening to our needs and never trying to push us into something we didn’t want. We have and will continue to recommend Mark to anyone looking to sell or purchase a home.